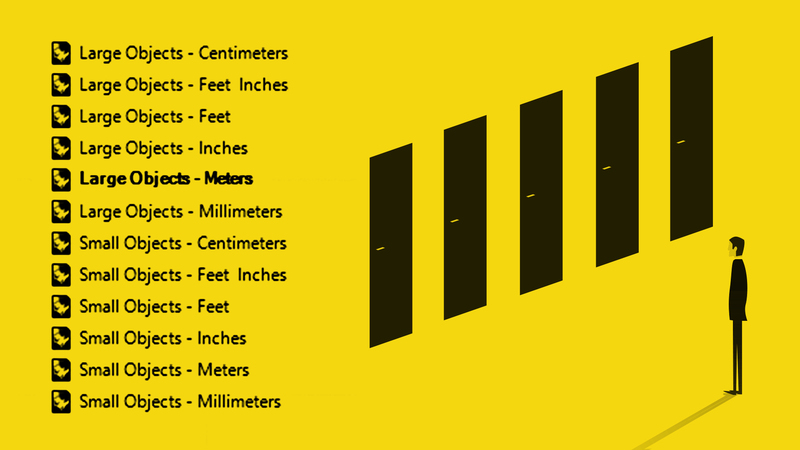 If you’re more into Grasshopper, check this. 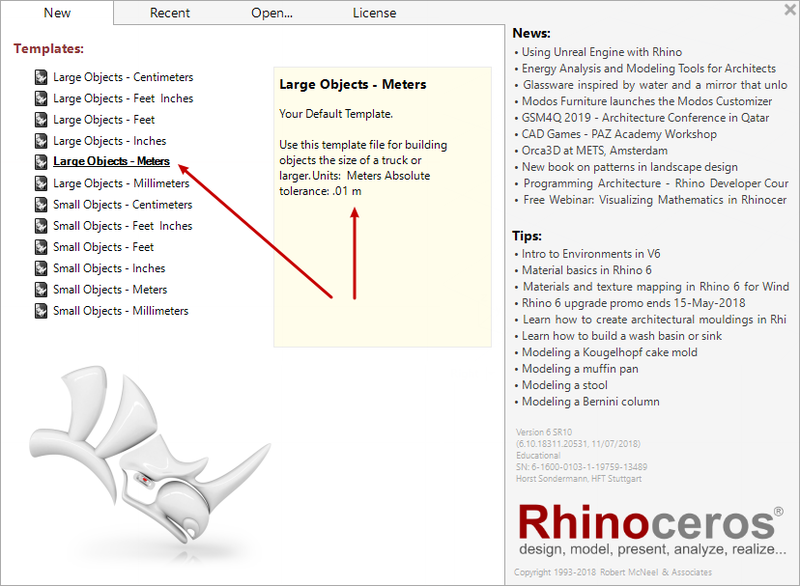 Irritably, although Rhino3D offers you template choice it will simultaneously open one on its own. So you are tempted to start working in this new file without checking whether the units suit you. 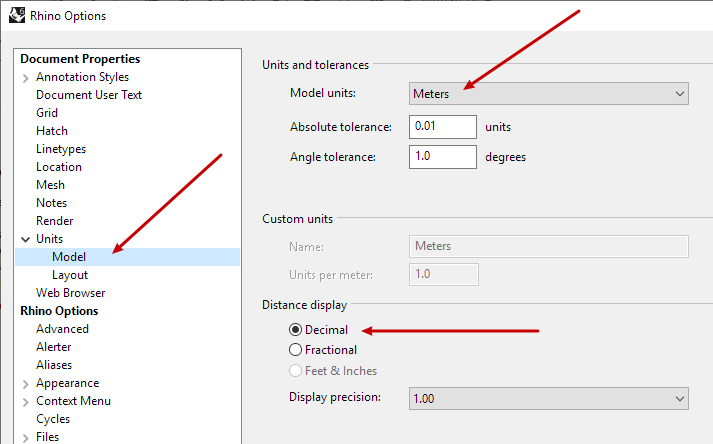 Of course in a running project you can always change the units to your like. But unquestionably, this is better managed via a template. When Rhino3d is running and you’ve already started working check and change units and grid settings in Rhino3D Options. 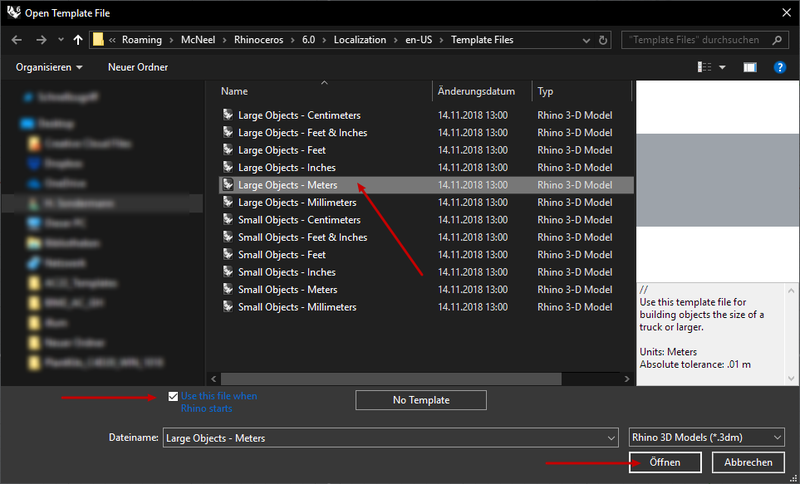 When Rhino3D is running and you have not started working yet, choose File – New and choose a suitable template. You set one template as default and this will open whenever you start Rhino3D. 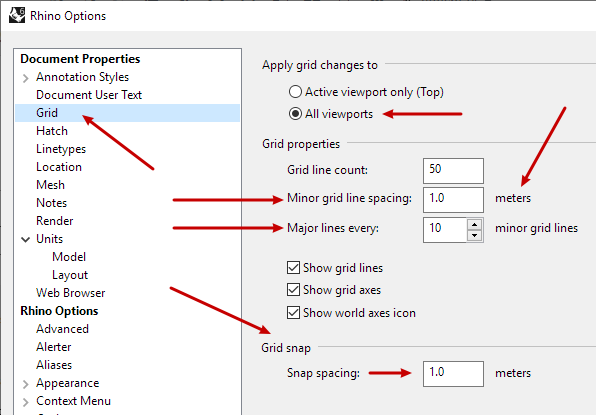 So, when you find yourself working with the same set of units and grid spacing over and over again: Set up or use a template that opens by default. Now you may open this template, but as you checked the startup option it will also show up everytime Rhino3d starts. Just so you know: Besides units and grid settings you can bake a lot more things into a template file. Just open up the your favorite Rhino3D template and change things to your like (e.g. layers settings). You’re done, you got your own template. Get control by opening the right template. Get more control by defining your favorite template as startup default. And streamline your workflow by designing your own template. Again, feel free to check McNeel’s support pages and also my Grasshopper Intro.